Don't judge me for the wrappers...brain food! My intention to write a blogpost for December slipped away under the pretexts of deadlines, turkeys and mince pies. 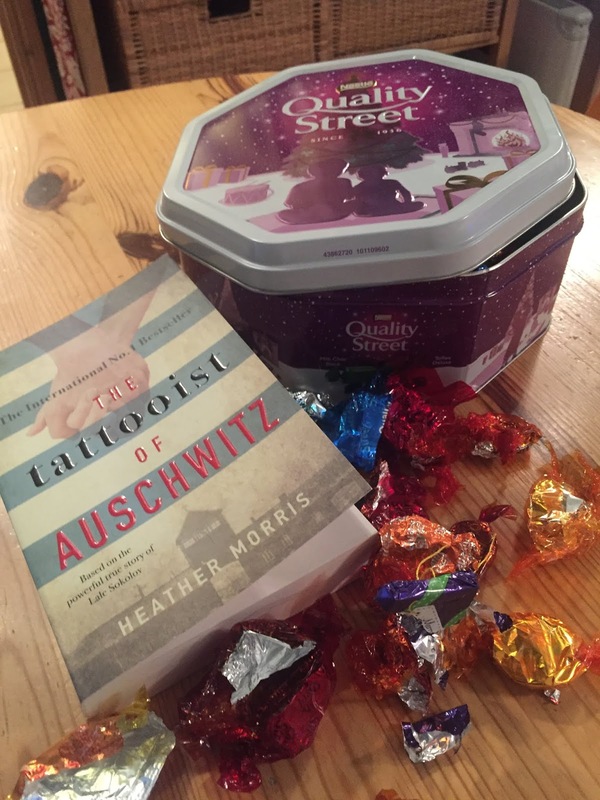 To remedy my neglect of you, I'm tucking into a giant tin of Quality Street, (yes, tin, not a half-measures plastic box - you have to look in the right places) whilst I reflect on a year of good reads, big decisions and a ridiculous word count. Loyal readers - and there are a delightful number of you - will know that I have just completed term 1 of an MA programme in creative writing. It turns out that when the powers-that-be decide 22,000 words should be handed in in January, then Christmas still happens. It also turns out that to hand in 22,000 words worth reading, you have to write at least 50,000. So forgive me if I miss out a comma here and there...my fingers are on keyboard overdrive. And you, my friends, are my break. I haven't pressed "submit" on my coursework yet, and a meeting today with my lovely already-published-and-bound-to-be-again friend, resulted in a five-hour re-write that I am, on her advice, putting to bed for at least the weekend. And so to books. Drum roll please as I prepare to reveal my total reads for 2018....42! Ten weeks short of a book a week, I'm still pretty happy with that. It matches my total for 2017, so my new year's resolution (one of them at least) has to be to aim for the 52 total. I'm on target. Three days into 2019 and I've finished a Christmas Stocking gift from Child 2...and before you ask, I didn't cheat. I started it in bed after the clocks struck midnight on 31st. This is quite an eclectic mix, and I'm sure the two at numbers 9 and 10 are only placed there because they are soooo long! If I ever write a book, it will not be of biblical proportions (unless we're talking book of Titus for example)! Absolute favourite was Stay With Me. I read this on holiday, post 79 if you want to take another look, and I was captivated by the characters, plot and pace of this story. I'm definitely going to be keeping an eye out for book two from Ayobami Adebayo. If you're not a fan of literary fiction then you might not like Housekeeping or All For Nothing as much as I did. Sometimes I'm asked to define literary fiction and its a bit elusive. I tend to think of it as a quiet tone on big issues. Literary fiction is not polemical, though it may well open your mind to new ideas and ways of thinking. It's gentle but sometimes deceptively so. Think hidden depths and you're there. Housekeeping is set in the lakeside town of Fingerbone and tells the story of orphaned sisters as they are looked after by a series of relatives. It is about the hold of the past and the pull of the lake. It is about madness and sanity and what is means to conform. All For Nothing is set in East Prussia in January of 1945 at the beginning of the end of the Third Reich. There are no big heroes and battles, but it tells the story of displacement, of lives never being the same again. It is based on a family already ravaged by the demise of the ranked classes and follows their further displacement as they attempt to come to terms with the need to join the mass exodus from their hometown to escape the danger of the Russian advance. A good read that needs focus and a concentration of time to imbibe it properly is Do Not Say We Have Nothing. Already reviewed in post 80, this is a broad sweep of Chinese modernity that shamed me for my ignorance and astounded me by the incredible storytelling and characterisation. If you don't come out of this one wanted to listen to a symphony orchestra, then I'd be very surprised. And if non-fiction takes your fancy, I liked Skating to Antarctica for its evaluation of childhood and the impact it has had on the author. I enjoyed most of the books I read for the non-fiction unit at Warwick, so if any of you would like a full list, then message me. I hope that has given you a flavour of the year just gone. I was delighted to receive a hug from a blog reader over Christmas who told me she really looks forward to my posts. I must apologise that my sojourn into uni life is putting their regularity on hold...but you never now, maybe, just maybe, I will be able to list my own book on here one day. Even if I don't, this course is teaching me so much. I had no idea I had such capacity for re-writing and re-writing and then re-writing again. Before I go, The Tattooist of Auschwitz needs a mention. I think I was meant to read it as I have been tempted by the beautiful cover several times in bookshops both real and virtual, and both my children considered it as a gift for me for Christmas. Child 2 made the purchase and it was a good one. Coming on the back of such a lot of literary fiction, I did feel this story had even more detail than the author, Heather Morris gave. It was, despite its harrowing subject matter, an easy read. Knowing it is based on a true life story, gives this book has a greater resonance than it would have done if it were wholly fictional. I resisted the photos at the back until I had completed the read, wanting to picture Lale and Gita for myself before confronting their reality. Spanning 1942-1945,the focus on the individual makes this story possible. So much history was made and destroyed in the Nazi concentration camps, that making it personal is the most effective way to communicate the horrors of the period. When Lale was so weakened and wasted that he found he had lost compassion for the dead man he was forced to carry, it makes the reader understand the energy needed just to stay alive in Auschitz. There are other cameo stories and the one about Cilka is heartbreaking, especially when you read the postscript. A comparable and less-publicised novel that I enjoyed perhaps more was The Dressmaker of Dachau, reviewed several years ago now in post 19. And for me, the absolute pinnacle of writing in this field is Corrie Ten Boom's, The Hiding Place. I am shocked to see that I have never reviewed this, so it is definitely time for a re-read. Thank you for reading with me on this year where Child 1 got married, I stepped off the teaching conveyor belt and stepped onto my MA and where hubby and Child 2 stayed resolutely supportive of every hair-brained idea I dropped into the arena. I am very grateful for the belief my family show in me. I am very grateful for their ability to read every one of my stories and essays to give critical and valuable feedback. And I am grateful to you for providing me with an audience which means that at least some of what I write doesn't just stay locked in my laptop. 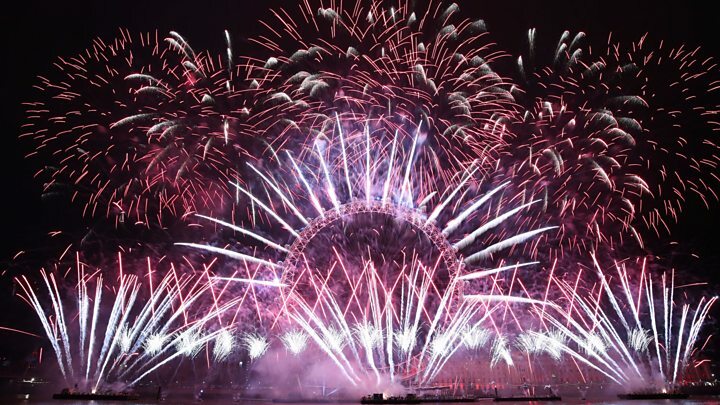 Happy New Year to You All and Blessings for 2019. I don't always read your blogs, but do enjoy them whenever I do. I love your appetite for reading and thank you for sharing your views on your reads. It also happens that one of the (very few) books I read last year was The Tattooist of Auschwitz, which I really enjoyed. As you say, an easy, short read, but beautifully written and nice to stay up front and personal with the protagonist throughout. Best of luck with rest of your MA this year, and I look forward to reading the first Karen Martin novel (maybe your 2020 NY goal!? ).